ABC News has a problem: nobody watches its nightly news program. They hope they have the solution: Peter Jennings. At age 28, the boy wonder is set to take on Walter Cronkite and Huntley and Brinkley as he assumes the reins of ABC's 15-minute evening news program. * Ron Cochran, who anchored ABC's news during the JFK assassination drama, has been shuttled off to radio, and in selecting the young Canadian who still has to remind himself that it's "lieutenant" and not "leftenant" and that the Marine band does not play "Anchors Aweigh," ABC has passed over the likes of Howard K. Smith, Edward P. Morgan, and John Scali; all news veterans, all Americans. *While CBS and NBC expanded their newscasts to 30 minutes in 1963, it wouldn't be until 1967 that ABC would follow suit. 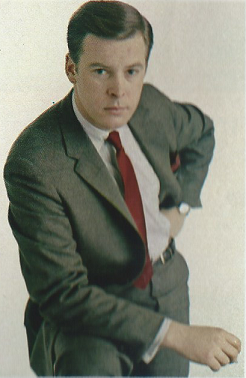 Jennings isn't really comfortable with the role (even less so with his name as part of the program's title (Peter Jennings with the News), and ABC had to accept his demands that he be allowed to travel to cover the news on location as much as possible. Still, just over six months into his term as anchor, it's clear that he'd rather be out in the field all the time; he sees himself not as an anchor, but as a reporter. "I'm a newsman," he tells Neil Hickey, and he's sensitive toward the impression, as someone put it, that he's the network's "glamorcaster." He's sanguine about it, though. "If I blow this show - and that possibility exists equally with the possibility that I'll succeed - I'm still young enough to come back and make another name for myself." Indeed he is. Despite ABC's confidence in the young man, truth be told, his first stint as anchor is less than a success. He never really does make a dent in the ratings of the Big Two, and after three years he quits the anchor desk to become a foreign correspondent. It's there that Jennings shines, covering various crises in the Middle East and the Munich Olympic massacre. He returns to the States briefly as anchor for ABC's failed morning program A.M. America, after which he becomes the network's chief foreign correspondent. When ABC introduces World News Tonight, he holds down the foreign desk in London, along with Frank Reynolds in Washington and Max Robinson in Chicago. After Reynolds' death in 1983, he once again assumes the anchor chair, and this time it sticks. He will remain on World News Tonight, leading ABC to first place in the ratings, until his own death in 2005. I wrote a piece at the other blog a few months before Jennings died; at the time, he was considered part of the Big Three along with Dan Rather and Tom Brokaw. That's all well and good, I wrote then, but to tell the real story of Peter Jennings, one had to consider him "the last reminder of the era of Chet Huntley, David Brinkley, and Walter Cronkite," and added that "That should put things in perspective." Look at the picture of Jennings above: earnest, somewhat doubtful, painfully young. When ABC hired Jennings back in 1965, he was introduced as the network's answer to Cronkite, Huntley and Brinkley. As unlikely as it may have seemed back then, even to Peter Jennings, that's exactly the way it turned out. Palace: Folk singer Burl Ives introduces Edgar Bergen, Charlie McCarthy and Edgar's 18-year-old daughter Candy; operatic soprano Anna Moffo; singer-dancer Ann Miller; comic Pat Henry; Rih Aruso, bicycle-balancer; and the Baranton Sisters, jugglers. Sullivan: Ed welcomes comedian Alan King; Metropolitan Opera soprano Birgit Nilsson; comics Marty Allen and Steve Rossi; singer Shari Lewis; the rock 'n' rolling Animals; impressionist George Kirby; South Vietnamese singer Bach Yenh; the Haslevs, trampoline artists; and Ravic and Babs, roller skaters. Also: Rex Harrison, Audrey Hepburn and Wilfred Hyde White in a clip from the movie version of My Fair Lady. This is where we see Ed at his best. I know theses shows weren't scheduled against each other when they originally aired, but it's as if Ed's playing "anything you can do, I can do better." Palace has Pat Henry as a comic? Ed tops them with Alan King. You want opera? Palace has Anna Moffo; Ed tops them with Birgit Nilsson. Academy Award-winner Burl Ives? What about Academy Award-winning film My Fair Lady, with Oscar winner Rex Harrison to boot. Strangely-named foreign acts? How better to beat Rih Aruso then with Bach Yenh? Palace has Ann Miller, Ed counters with The Animals. OK, there's Allen and Rossi, but nobody's perfect. Palace has a pretty good lineup, but Ed's is better. Sullivan shows 'em who's boss. And it's bonus week! Al Hirt, the summer substitute for Jackie Gleason, is back with another original lineup that in a lesser week might have taken top honors. Al's guests on Saturday night include Liza Minnelli, country singer Johnny Tillotson, Little Richard and the Imperials, and Jackie Vernon. Even here, Palace can't get a break; while they have Burl Ives, narrator of Rudolph the Red-Nosed Reindeer, Al has Jackie Vernon, who in a few years will be the voice of Frosty the Snowman. It's just one of those weeks. If you're like me, you were probably enthralled watching last week's PGA Championship on CBS. Mickelson's my guy, but it's hard to root against Rory. 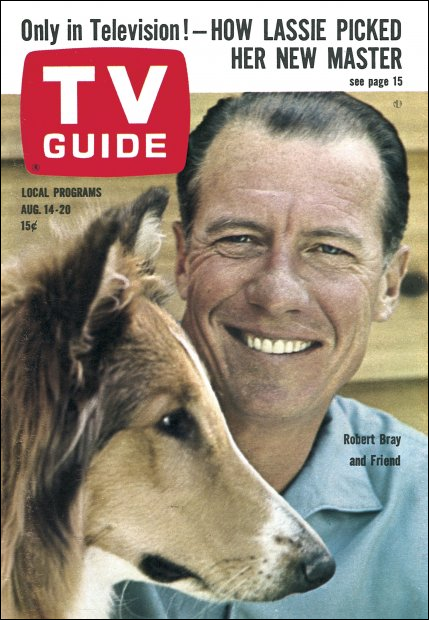 In 1965, the PGA is played a week later, and airs on ABC. Saturday and Sunday the network gives us coverage of the final holes, from Laurel Valley Golf Club in Ligonier, Pennsylvania. Arnold Palmer, the hometown boy, is the sentimental favorite to win the only one of the majors that has escaped him, but he's never a factor. Instead, the title goes to Dave Marr, who will become far better known in the future as a golf commentator for ABC, where he teams for many years with Jim McKay. Those who keep an eye on TV ratings will be quick to point out that Fox' national baseball game of the week has taken a nose dive; a couple of weeks ago it was beaten by a pre-season soccer match, and I think the network would be happy if it went away altogether, or at least to Fox Sports 1, which may amount to the same thing. So it's hard to imagine that in 1965 there were two networks broadcasting Saturday baseball: CBS, which this week has the Kansas City Athletics taking on the Yankees at New York, and ABC, with the Cincinnati Reds and the Cardinals at St. Louis. And that isn't all; because it's an American League game, the CBS broadcast is blacked out on Channel 4 in the Twin Cities, in favor of Channel 11's coverage of the Twins and the Indians in Cleveland. If you lived in the right area, you just might have been able to get all three games. Things are different now, of course; back then the Twins broadcast, I think, somewhere between 30 and 50 games a year, including three home contests; today, it's the rare team that doesn't have every single game on television via multiple cable and broadcast contracts, and ESPN joins Fox and the MLB Network in airing midweek games. Given that local baseball coverage is doing gangbusters in the ratings this year, is it any wonder that the national game on Saturday would be, for many, a thing of the past? Pretentiousness Watch #2: This time, it's Thursday night, as CBS' legal drama The Defenders presents "Eyewitness," in which E.G. Marshall defends "two youths who have openly committed murder - confident that no one would try to stop them." The "no one" includes 27 witnesses who saw the two murder an old man but didn't want to get involved. 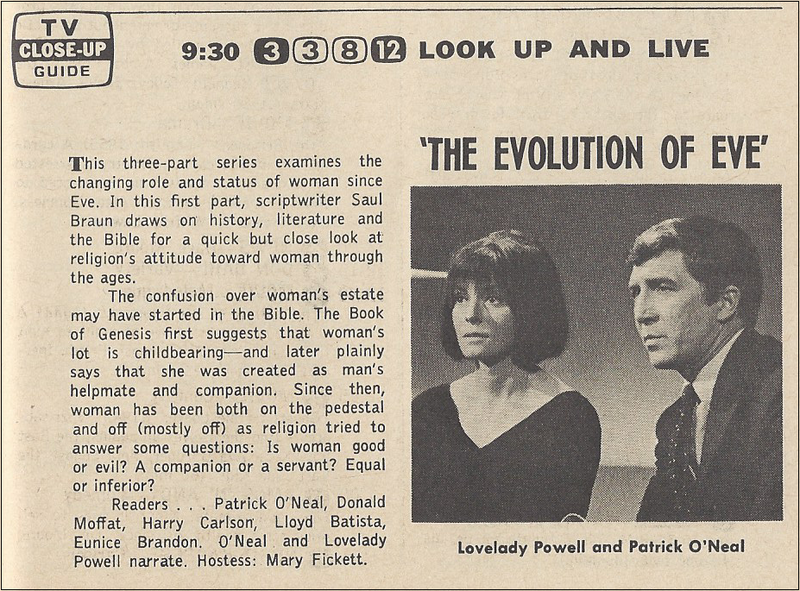 I put these two shows on Pretentiousness Watch, and they probably had more than a little bit of preaching in them, but what I wouldn't give nowadays to have even one show with this kind of gravitas airing in a weekly spot. 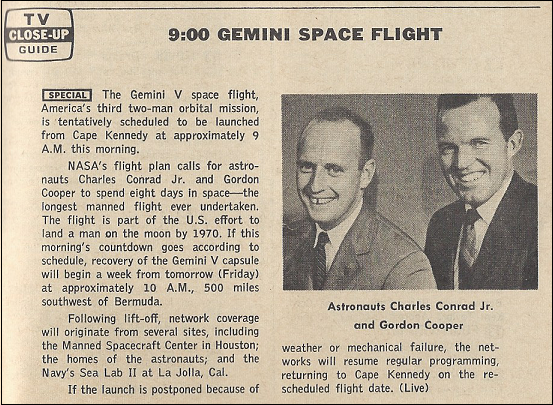 Also on Thursday, my favorite astronaut of the time, Gordon Cooper, is scheduled to launch with Pete Conrad on the mission of Gemini V. The TV Guide is filled with broadcast schedules for the launch, including alternate programming in the event the launch is postponed by a day or two. A good idea, that, because delays did in fact force a postponement until Saturday morning. All goes well, though, and by the end of the flight eight days later, the U.S. for the first time holds the record for the longest duration space flight. Finally*, a quick look at "For the Record," the feature at the start of the programming section that gives us some tidbits on what's going on behind the scenes. *Sorry, Lassie - didn't make the cut this week. Maybe another time. Next, it's praise for Joey Bishop's performance as guest host for Johnny Carson on The Tonight Show. The only blemish on the record may have been the show featuring Bishop's fellow Rat-Packers, Sammy Davis, Jr. and the aforementioned Frank Sinatra. Many of the critics thought Joey was fawning excessively (is there any other kind?) over Frank, but according to TV Guide, they missed the tongue that Bishop had firmly placed within cheek. Well, nobody ever went broke underestimating the intelligence of the average television critic. And last but not least, some surprisingly hawkish comments from Hollywood on the war, which if nothing else shows how early in the conflict we really are. Raymond Burr, who's made more trips to Vietnam than anyone not named Bob Hope, is on an extensive speaking tour where he calls for an escalation against the Viet Cong; not surprising, considering his closeness to the American troops as a result of his visits. And Hope himself is congratulating Secretary of State Dean Rusk for speaking out on nations still doing business with North Vietnam. Says Hope, who's usually apolitical in things like this, "People seem to forget we're at war." They'll be remembering soon enough, Bob - trust me on that. Fox and MLB made changes to the 2014 television scheduling where only four Saturday afternoon Game of the Week broadcasts are made -- all in the final month of the season. There are 12 Fox (not FS1) games -- the first eight are Saturday night games, and there are usually three to five games on the list, they run from UEFA Finals Day to the week before the All-Star Game. Of the four Saturday games, only two have their matchups set, and the final two weeks have NFL-type flexible scheduling, though Fox is likely to ask MLB to release the Atlanta-Texas game September 13 and go play flexible scheduling to replace that game with another game that will have playoff importance. There is a story about how the Thursday, August 19th Gemini 5 launch scrub and the subsequent launch on Saturday the 21st were covered on network TV. Originally scheduled for launch at 10 A.M. EDT on the 19th, the three networks went on the air at 7 A.M. EDT. But by the time the networks went on the air, the final five-hour countdown hadn't even started yet, thanks to weather delays, meaning the launch wouldn't be until at least a little after 12 Noon EDT. Eventually, the countdown began. Gordon Coop0er and Pete Conrad entered their spacecraft and they got to within a few minutes of liftoff when another thunderstorm hit, and the decision was made to scrub the launch until Saturday. CBS News chief Fred Friendly (yes, that Fred Friendly!) was so irate with the delay that when the launch was rescheduled for two days later, his network didn't even start coverage until 9:30 A.;M. EDT, a half-hour before the re-scheduled launch (which went off on-time at 10 A.M. EDT, the first U.S. manned space launch to blast-off at the scheduled time). In fact, I think NBC and ABC were on the air at 8:30 or 9 EDT that morning, also not being on the air as long before the scheduled launch time as they had two days earlier. Just before the networks were set to sign-off on launch day, the pressure in the spacecraft's fuel cells began to plunge and there was concern that the mission would have to end during the sixth orbit. The networks ended up staying on the air all afternoon, until the fuel cell situation stabilized enough for the mission to be allowed to continue for 24 more hours (it would be cut short by a single orbit, but that was due to bad weather in the original splashdown area and by moving to a new recovery zone, the mission had to come back an hour and a half early). In order to present extended coverage through the afternoon due to the fuel-cell crisis, CBS and NBC each wiped-out a pre-season pro football game that afternoon while ABC pre-empted a Major League Baseball game and at least part (if not all) of "Wide World Of Sports"